It took a theft and a major restoration project to reveal the manufacturer behind a stained-glass window that had been masquerading as a work by Tiffany Studios for more than a century. 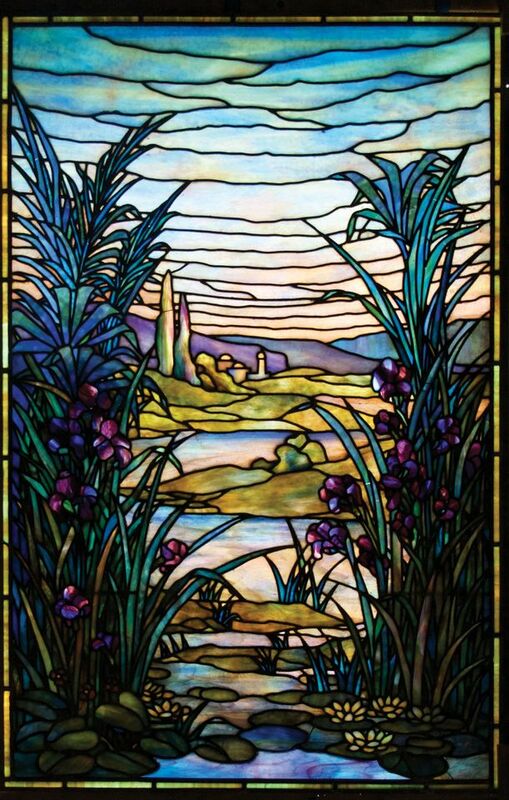 The River of Life window, which was damaged when it was stolen from a mausoleum in Connecticut in 1991, has been newly reattributed to the US company J & R Lamb Studios by the New York-based restoration firm Venturella Studios. 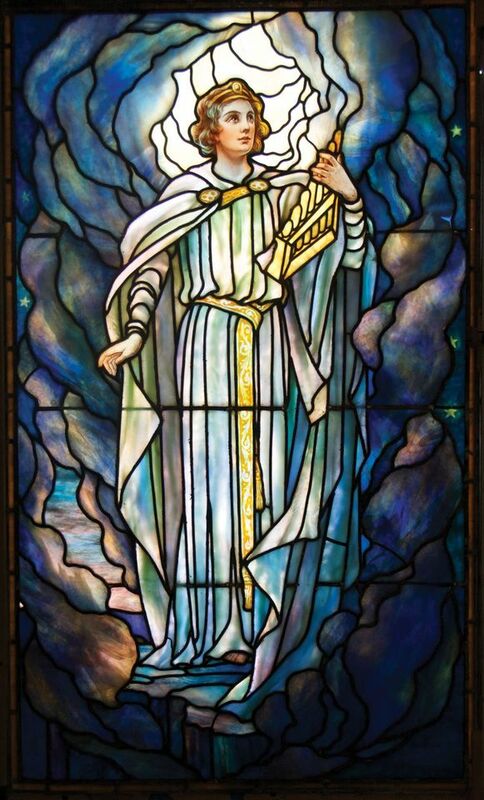 The stained-glass specialists also treated a depiction of Saint Cecilia made by Tiffany Studios, which served as a companion piece for the River of Life. Venturella Studios first examined the windows, made around 1917 for the mausoleum of Frank Loomis Palmer and Louisa Townsend Palmer at Cedar Grove Cemetery in New London, in April 2016. They are now on permanent display at the Lyman Allyn Art Museum in the city, where they had arrived on long-term loan from the cemetery in early 2016. It took around four months for the conservators, Thomas Venturella and Jim Murphy, to restore them. Both had been packed in foam that absorbed moisture, so the lead became oxidised and needed to be cleaned with a wire brush. They also needed new horizontal support bars. The River of Life window had already been sold twice when it was recovered by the dogged police detective, William Discordia, less than two months after its theft. A lot of the glass was broken, but the most challenging part of the restoration was recreating the border, which was lost when the window was cut out, Venturella says. With no fragments to go by, he chose a yellow to set off the purples and blues in the window, as borders often employ complementary colours, he explains, and used period commercial glass with a matching texture and density. Venturella immediately spotted the misattribution to Tiffany. “It was the design in particular that really got me,” he says, particularly the generic depiction of the flowers at the bottom. Tiffany windows always show specific, recognisable varieties. The execution was also “sloppier than I would expect to find in a Tiffany window”, Venturella says. Plating, or additional glass added to create effects like distance, was wrapped in thin foil, whereas Tiffany windows use lead surrounds. Tiffany windows also incorporate both commercial glass and glass made by the studio to achieve special effects, such as particular subtle colours, Venturella says; this window only contains commercial glass. For the Saint Cecilia window, deinstalled in 1992 due to fears of theft, Venturella Studios corrected a previous repair to a breakage above the portative organ held by the saint (the patron saint of music and musicians). The edges of the pieces had been grozed down and soldered with copper foil. The foil was removed and the missing glass filled in with a clear epoxy developed at Nasa, Hxtal NYL-1. It has a refractive index similar to that of glass, so it corrects the glare that light makes on the edges.